WASHINGTON — President Trump in 2018 repeatedly urged the Federal Reserve to stop raising interest rates, warning that its “crazy” policies were jeopardizing the economic expansion. This week, the Fed stopped. The central bank did not raise its benchmark rate at its first meeting of 2019, and said it had no plans to raise rates in the foreseeable future. The Fed’s newfound patience delighted the White House, and Wall Street. It was seen as a concession to the Fed’s critics, and as a boost for an economic expansion that is on the verge of becoming the longest in the nation’s modern history. “We have, by far, the strongest economy in the world!” Mr. Trump exulted Friday morning on Twitter. But the details of the Fed’s decision suggest less cause for celebration. Jerome H. Powell, the Fed’s chairman, said Wednesday that the Fed was pausing not because it embraced Mr. Trump’s argument that the economy was in ruddy health, but because the expansion faced growing threats, including from the impact of Mr. Trump’s own policies. Among these, Mr. Powell listed the trade war with China and the risk of another government shutdown. In effect, the Fed concluded the expansion might not survive the combination of more rate increases and Mr. Trump’s economic policies, so it pulled off the road to reduce the risk of a crash. For the moment, of course, there is little practical difference between the White House view that rates should stay low because the economy is strong and the Fed view that rates should remain low because the economy is fragile. The tension will resume if growth revives. The Fed’s shift also stopped well short of the president’s stated preferences. The central bank still raised rates four times in 2018, in the face of Mr. Trump’s warnings, and Mr. Powell said Wednesday that he thought those increases were warranted. Friday’s report that the economy added 304,000 jobs in January suggests that the Fed hasn’t yet choked the economy. The Fed similarly stopped short of accepting Mr. Trump’s advice that it should “stop with the 50Bs,” referring to its policy of reducing its bond portfolio by about $50 billion each month. While saying it would continue reducing its holdings for now, the Fed was at pains to reassure investors that it stands ready to adjust the policy as necessary and that it is likely to stop sooner than previously expected. Mr. Trump picked Mr. Powell to serve as the Fed’s chairman. But last year, as interest rates rose and the stock market declined, the president repeatedly attacked Fed policy as “crazy,” “wild” and “loco.” He fretted to aides that Mr. Powell would “turn me into Hoover,” a reference to the president during the early years of the Great Depression, and he asked aides whether he could replace the chairman. Mr. Trump’s attacks on the Fed are not easily assembled into a coherent critique. But some lieutenants have advanced the argument that the administration’s economic policies are expanding the labor force and increasing productivity, resulting in economic growth without inflation. In this view, the Fed should leave interest rates at a low level to allow the expansion to continue. Administration officials also blamed the Fed’s policies for causing the wobbles in financial markets last year. Mr. Powell, by contrast, said on Wednesday that the economic outlook was deteriorating for reasons unrelated to the Fed’s policies. He pointed to storm clouds including economic weakness in China and Europe and tightening financial conditions, as well as the impact of Mr. Trump’s policies. He made the nuanced point that the Fed still regards solid economic growth as the most likely outcome for the coming year but that result is now somewhat less likely. “At such times, common-sense risk management suggests patiently awaiting greater clarity,” he said. 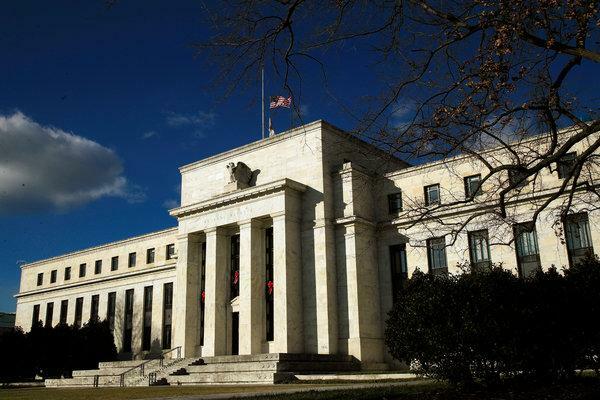 Analysts said the negative reaction of financial markets after the Fed’s previous meeting, in December, was a particularly important factor. The Fed raised rates and predicted two more increases in 2019. Mr. Powell also emphasized the Fed’s commitment to reducing bond holdings, which some investors saw as overly aggressive. Mohamed A. El-Erian, chief economic adviser at the financial firm Allianz, said the Fed’s decision Wednesday “came as absolutely no surprise.” Since the global financial crisis, he said, the Fed has backed down each time investors objected to the tightening of monetary policy. Among those moments: the 2013 “taper tantrum” and the decision to postpone rate increases in 2016. “It’s watching the same movie over and over again,” he said. The question, Mr. El-Erian said, is whether the Fed should be listening to the markets. Some Fed officials appear more receptive to the kind of arguments advanced by Mr. Kudlow, notably Richard Clarida, who became the Fed’s vice chairman in September and said in a November speech that he saw some signs of a stronger trend in productivity growth. Other Fed officials said last summer, when there were fewer risks to the economic outlook, that the central bank should keep raising rates into restrictive territory to slow what they saw as unsustainable growth. Mr. Powell has sought to push the question into the future, suggesting he is open to either possibility. He has said the Fed will not respond to wage growth as a sufficient sign of inflationary pressure. Similarly, he said Wednesday that evidence of inflation would be a “big part” of any case for more rate increases. The problem for Mr. Powell is that monetary policy exerts a gradual influence on economic conditions, meaning that policymakers must calibrate policy based on forecasts. Sooner or later, Mr. Powell will need to decide what he thinks about Trumponomics.